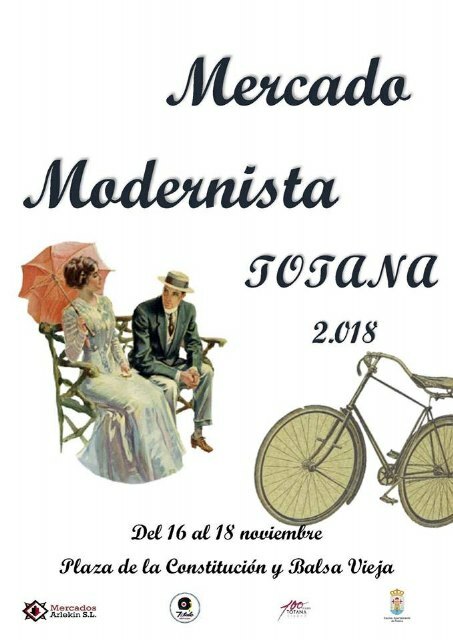 The Modernist Market of Totana will be held from November 16 to 18 in the squares of the Constitution and Old Balsa, organized by the Department of Culture, on the occasion of the commemorative events of the Centennial of the City 1918-2018. 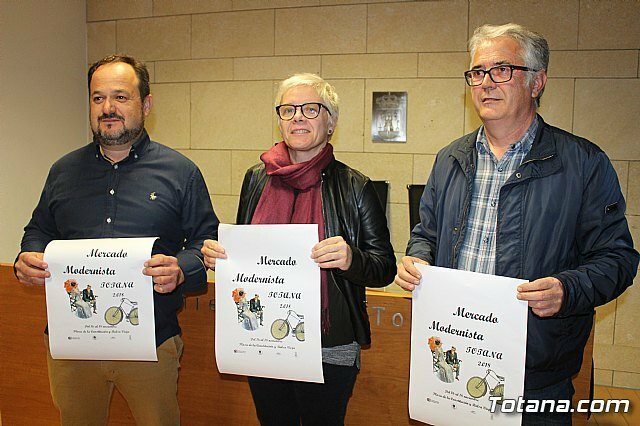 The councilor of the branch, Eulalia Moreno, accompanied by the promoters of the organizing company, Juan José Martínez and Pedro Pascual, made known this thematic activity, which comes to replace the similar and traditional activity set in the medieval era that was organized every year in this locality. 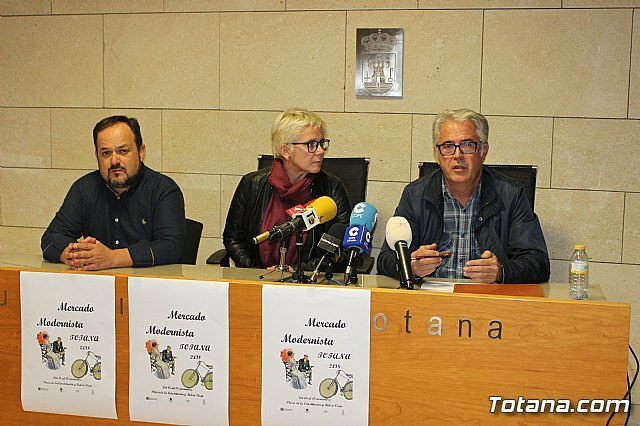 This market will have the presence of more than fifty exhibitors who will present food and handicrafts set in the Totana of the late nineteenth and early twentieth centuries in order to better understand the society of the time in which this title was granted of city by King Alfonso XIII. In addition, it is planned to organize workshops, entertained activities and commemorative exhibitions in the historical context cited above. the performance of Totana gangs and traditional children's games of the time. This activity will open on Friday 16, starting at 7:30 p.m.
and will continue on Saturday and Sunday, with hours from 11:00 to 22:00 hours uninterrupted. while Saturday will also be done with old bicycles that come from an association of Yecla. The children's games will be held during the weekend in the mornings and the participatory workshops will take place in the afternoons, respectively. In the same way, exhibitions of old tools will be organized to publicize the work in the garden and a sample of old photographs of Totana.